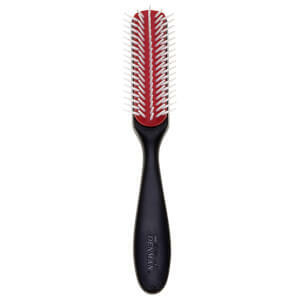 The Denman D1431 Compact FreeFlow Styling Brush expertly sculpts and shapes locks during blow-drying and styling to deliver visible root lift. With five rows of staggered nylon pins to create natural-looking volume and movement, the hairbrush boasts a longer handle for improved grip and control. Ideal for detangling thick hair and gently separating curls, the brush helps you to create soft, smooth and salon-worthy results.